A deal between YouTube and Warner Music has sensationally broken down, after the two companies failed to reach an agreement over money. One of the big four music labels – EMI, Universal Music Group and Sony Music making up the other three – Warner had allowed videos of its artists on the website but now YouTube has been requested to pull every music video off the site that is related to the Warner label. At first glance this falling out may be seen to affect YouTube the most, but its consequences could be far-reaching for the music label. Universal Music, in its deal with YouTube, is said to have made tens of millions of pounds from having its artists on the video-streaming site. In a statement, Warner said about the news: "We are working actively to find a resolution with YouTube that would enable the return of our artists' content to the site. "Until then, we simply cannot accept terms that fail to appropriately and fairly compensate recording artists, songwriters, labels and publishers for the value they provide." 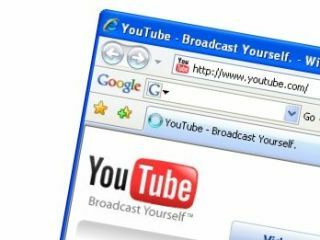 Google, owners of YouTube, said on its blog: "If we can't reach acceptable business terms, we must part ways with successful partners. "For example, you may notice videos that contain music owned by Warner Music Group being blocked from the site."